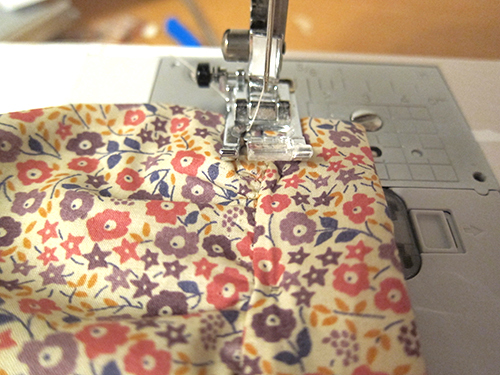 As the final preperations for the Grand Opening of our new shop (on Saturday 27th April) continue I finally managed to get a quick chance to put together a tutorial to show you how I make my patch pockets. 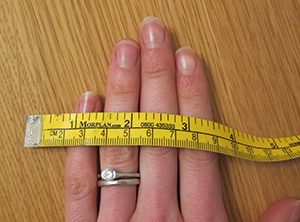 To make the top band of the pocket, measure over the top of your hand to make sure you'll be able to get your hand into the pocket. 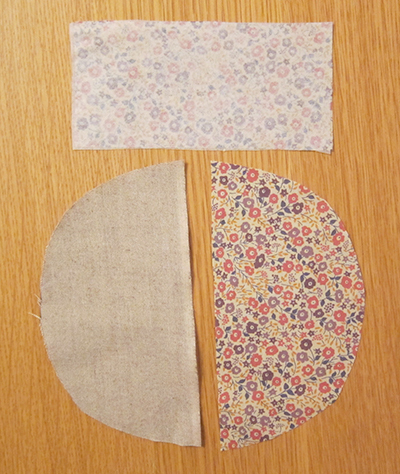 About 11cm was enough for me, then add on 3cm for seam allowance (1.5cm each side). This will give you the length. 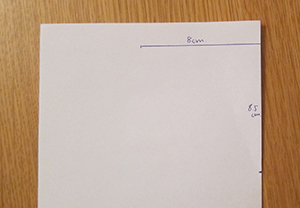 I made the depth of my band about 6cm. The band gets folded in half so if you know how deep you want the band to be you need to double it and add seam allowance. To make the bottom section pattern piece you need to make a half moon shape that has a diameter bigger than the width of your band. I made the diameter of mine 16cm but to be sure you get a symmetrical shape fold a piece of paper in half, measure 8cm across then I measured 8.5cm down, but if you wanted a deeper pocket you could make this distance longer. Then join the points as shown below. You should now have a rectangle and a half moon shape. 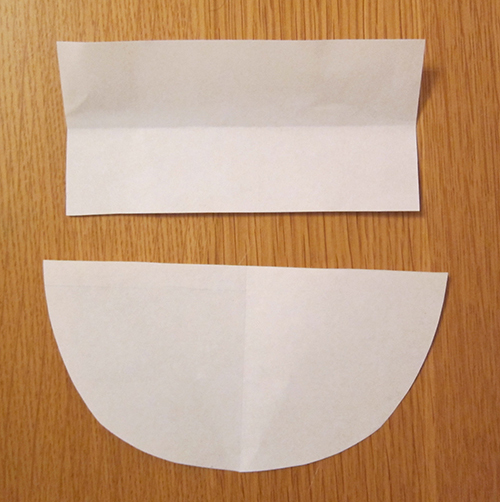 Cut out one rectangle and two half moon shapes using your templates. 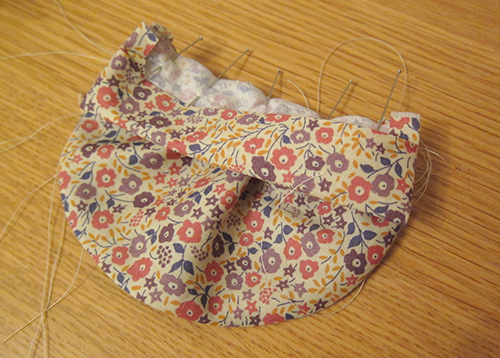 Pin the the half moon shapes with right sides of the fabric facing each other and stitch around the curved edge, leaving the straight edge unstitched. 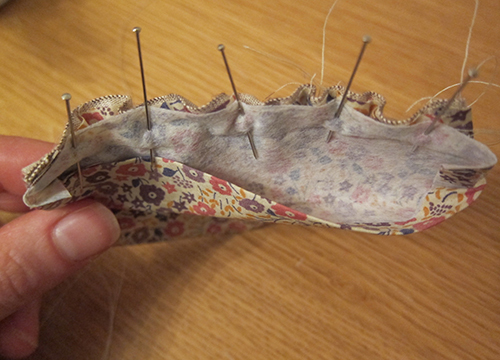 Turn the half moon shape the right way out and press the stitched edge so that it sits flat. 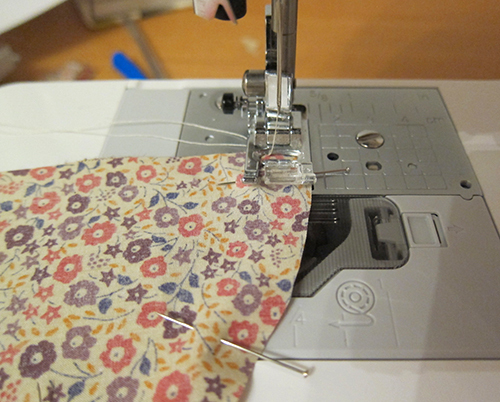 Then using a long stitch length on the machine, stitch two rows of stitches along the straight edge, making sure you leave long tails. Mark the centre point of the half moon shape and the rectangle. 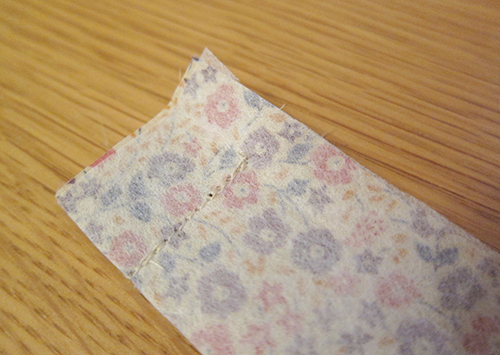 Trim the seam allowances and the corners to reduce bulk then press back the raw edges about 1cm. 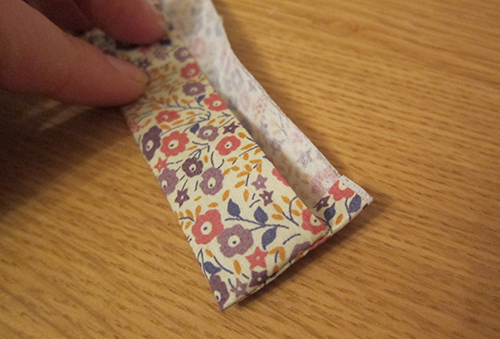 Pin this band to the pocket with the right sides together, matching up the centre points. Using the top long thread tails of the two rows of long stitches you did previously, gather the top of the half moon shape so that it fits inside the top band, make sure the gathers are evenly spread out. 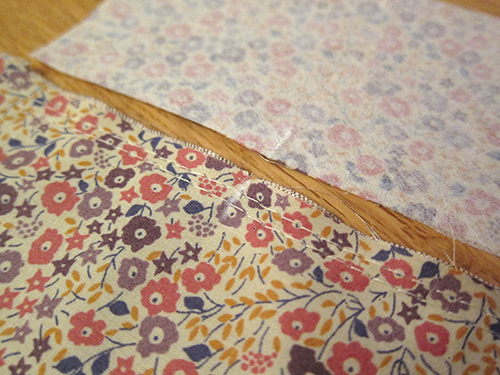 Then using the crease line from where you pressed before as a guide, stitch the top band to the half moon shape. 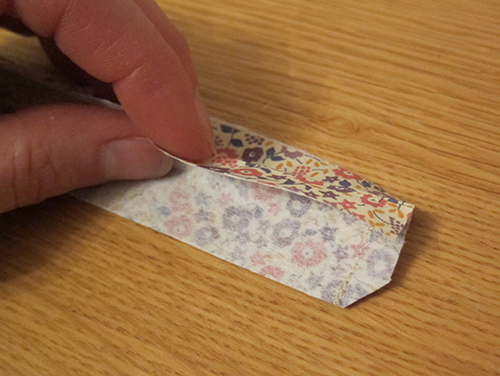 Fold the top band back and enclose the raw edge within the top band. 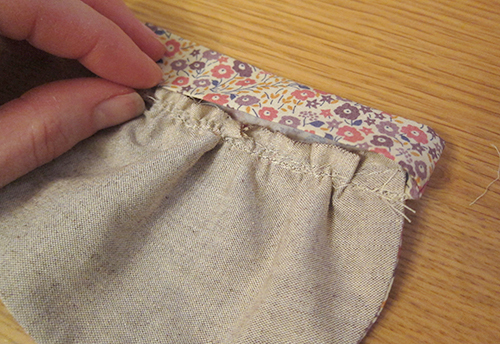 To stitch the top band in place, you can either 'stitch in the ditch' or at the join between the top band and the botton section - this will hide the stitching. 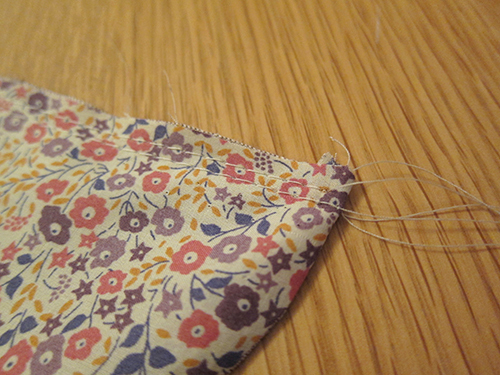 Or, stitch on the top band, close to the edge, so that you will see the stitching. 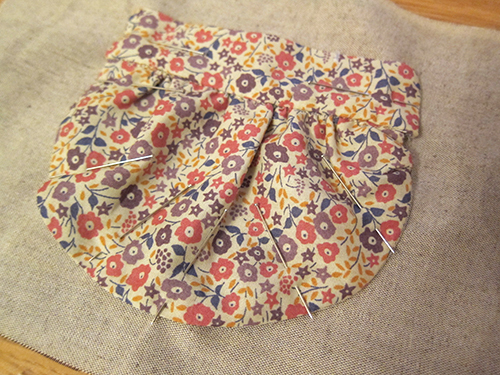 Your pocket is then ready to be stitched onto your garment! 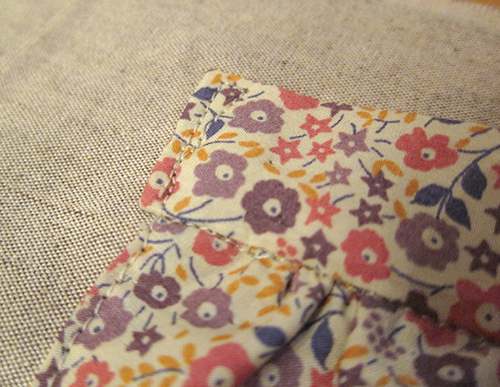 Then carfeully stitch around the edge of the pocket, close to the edge. 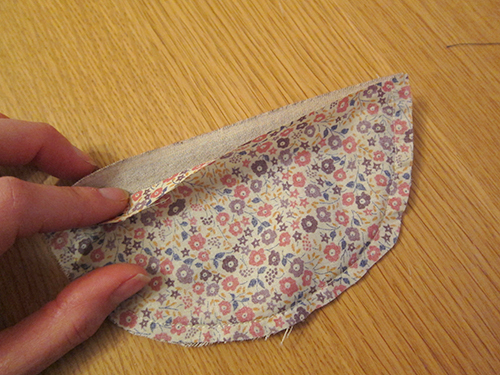 At the top corners, stitch a little triangle which will make the pocket a bit stronger and less likely to pull away from the garment. 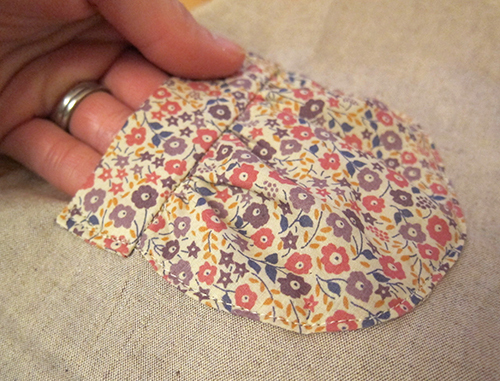 And you've got yourself a luverly patch pocket! !